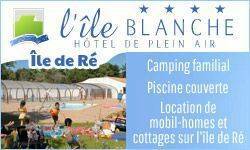 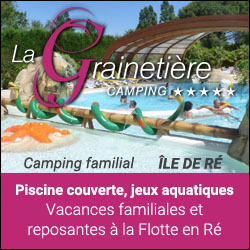 The campsite La Grainetière is located in a wooden area, at 1.5km from the harbour of La Flotte. 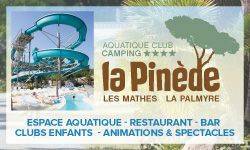 Isabelle and Eric are here to welcome you from April to September. 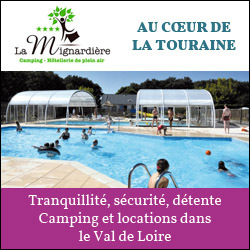 Come and rent a mobilhome 2 to 3 bedrooms, a gipsy caravan or a camping plot. 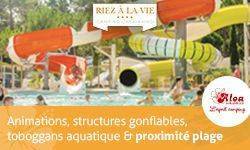 Many services onsite : covered and heated swimming-pool, bike rental, snack-bar, grocery shop, playground area... Reservations advised. 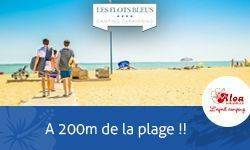 18 ha alongside the Ocean with the direct access to the biggest fine sandy beach of the Landes. 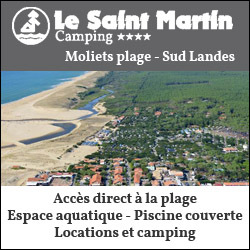 Camp site rolling hills of 673 pitches from 80 to 150 m². 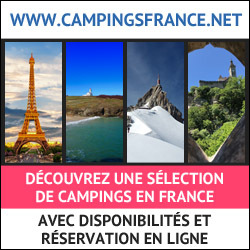 The port of Capbreton, Biarritz, the Basque Country and the Spain are all nearby. 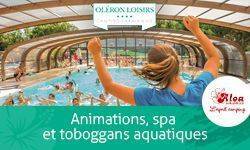 From Easter to 1st November, a heated indoor swimming pool with sauna and jacuzzi, free off season (a fee is applicable in July and August). 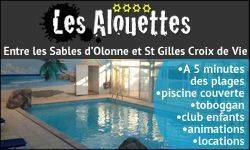 From 15th June to 15th September, free outdoor swimming pools. 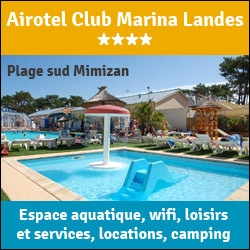 Restaurants, fishmonger, bar-brasserie, bakery, supermarket, newsagents, wireless internet, cash machine. 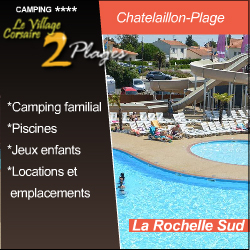 The Ker Helen campground is located at the door to BASSIN D’ARCACHON and offers its friendly and warm atmosphere in a flowery setting. 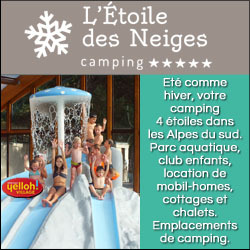 The KER HELEN campsite offers camping pitches and rentals of chalets, cottages, mobile homes and bungalows. 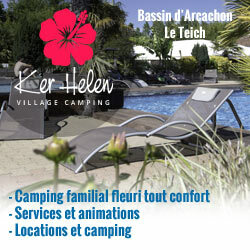 Along the river Eyre, the KER HELEN, at Teich, invites you to hike and canoe through its outstanding landscape. 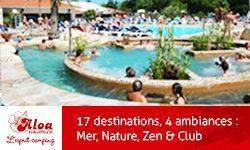 Give your body time to relax in a fully different scenery. 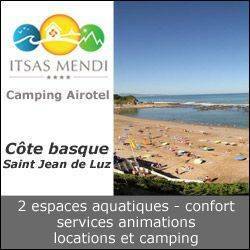 Camping Pays Basque à Saint Jean de Luz, proche de Biarritz et Bayonne, à 400 mètres des plages. 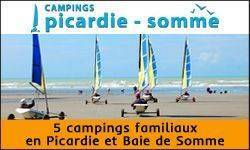 Votre camping au Pays Basque ! 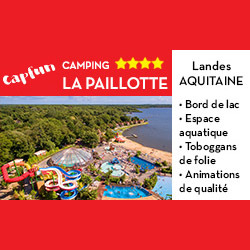 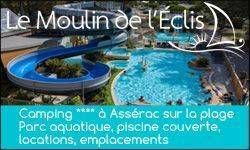 Profitez de 2 espaces aquatiques chauffés avec une piscine couverte avec un jacuzzi ainsi que d'une piscine toboggans. 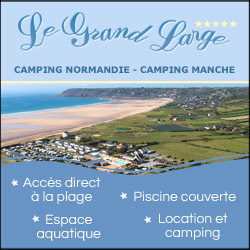 The camping BIPER GORRI ideally located between the sea and the mountain, in the quaint village of Piment d'Espelette, in the heart of the Basque Country, in a framework of greenery centenary, discover the pleasures of the calm and the friendliness grace to a dynamic team and welcoming. 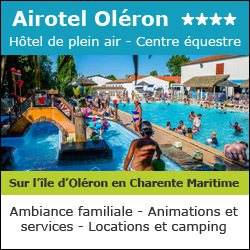 All the services of a 4 stars are at your disposal, heated pool, a fitness room, sauna, steam room, restaurant, bar, food, bakery, takeaway food, WIFI ... We have rental such as chalets Gitotel, Mobil and tents. 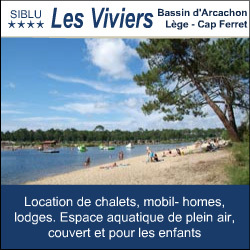 On the peninsula of Lège-Cap Ferret, Airotel les Viviers**** welcomes you in the heart of a 33-hectares pine grove, 5 km from the ocean. 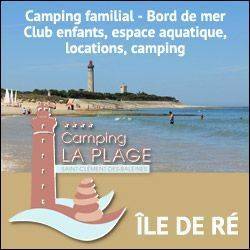 Our campsite**** offers you an interior basin with a private beach, a 620 m2 open-air aquatic complex with toboggan, a covered swimming pool, and an aqua toon, an aquatic space for children. 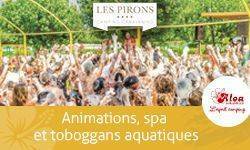 Many activities for everybody in high season (sports, evenings, additional services...) ! 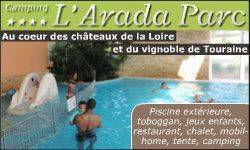 Numerous excursions and tours are possible: boat trips, oyster villages, sea fishing, Medoc Castles and the city of Bordeaux. 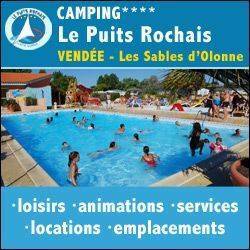 Open from 28/03/2014 to 21/09/2014. 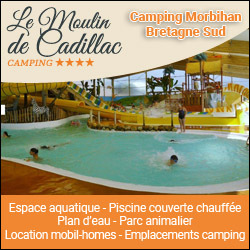 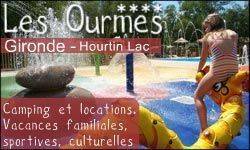 100 m of beach 2 km of st brevin mobil-homes,chalets Bar,Swimming-pool,Restaurant Sporground,roomgames,organized activities dance parties,Activities organizer for children(4/12)/(07/07 au 22/08),Washing machine and tumble driers.